The IG’s report, issued Monday, said Zinke never mentioned the Interior Department or his role as secretary in the June 2017 speech to the fledgling hockey team, staff and coaches, instead focusing on his experience as a former Navy SEAL. An ethics official said the speech should have been tied to the department’s mission to qualify as an official event. Zinke has defended his use of private charter flights for government business, calling criticism of his taxpayer-financed travel “complete and utter bull” and driven by politics. 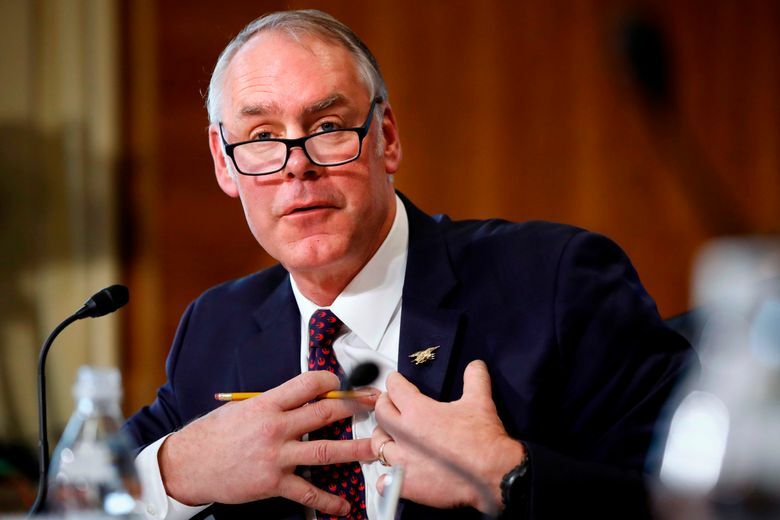 Arizona Rep. Raul Grijalva, senior Democrat on the House Natural Resources Committee, said “Zinke ignores the rules when it suits him,” adding that Republicans in Congress have shown little interest in conducting oversight of Zinke or other Trump administration officials. The IG’s report did not address the helicopter flights. Zinke “needs to stop treating federal resources as his personal fiefdom,” Grijalva said.